Taking home a 2018 Mercedes-Benz CLA has never been easier. Our St. Charles, IL luxury car dealership employs a crack team of auto financing specialists. We’re ready to help you get pre-approved for an affordable car loan and leasing option when you go through our Mercedes-Benz finance center. Simply fill out our secure online form below and you’re on your way to turning heads as you drive the streets on Illinois. Once you’ve complete the form, you may want to estimate monthly Mercedes-Benz car payments to see what you could be paying on your next vehicle. Once you’re satisfied, come on in and see us for a test drive at Mercedes-Benz of St. Charles. 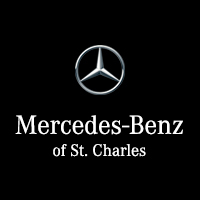 Give us a call or contact Mercedes-Benz of St. Charles online with any questions you have about the financing application process or car buying process.